The last class of the ADAMED SmartUP Academy was held on 30 and 31 May this year in the Gdańsk Science and Technology Park. Similarly as in Łódź, the subject of the class was medicine. 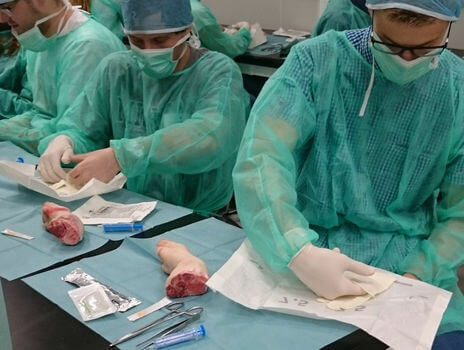 The participants of the study were the youth from all over Poland, among others, from Gdansk, Inowrocław, Poznań, Szczecin, Warsaw and Elbląg.They took part in the theoretical and practical programme including, among others, surgery, anatomy and psychiatry. During the class, the youth practised on real organs, learnt how to suture wounds and how a doctor should interview a patient and give a diagnosis. The classes were positively evaluated and the students commented that the courses met their expectations and gave them an insight into what medical studies are about, or helped them to choose their field of study. Moreover, the young people stated that they learnt many new things during the class that filled their knowledge gaps.